Rollesby is a great location for exploring one of the UK’s wonders, the Norfolk Broads, which are a collection of seven rivers – the Ant, Bure, Thurne, Yare, Wensum, Waveney and Chet – and 63 inland lakes, the ‘cut’ channels ranging in depth from one to about thirteen feet although some natural parts of the waterways are much deeper. It was only in the 1960s that Dr Joyce Lambert proved beyond doubt that the strangely straight waterways were entirely man-made: the Romans were the first – and thereafter the monks who lived in this then extremely remote landscape - to begin digging for peat, a precious fuel. 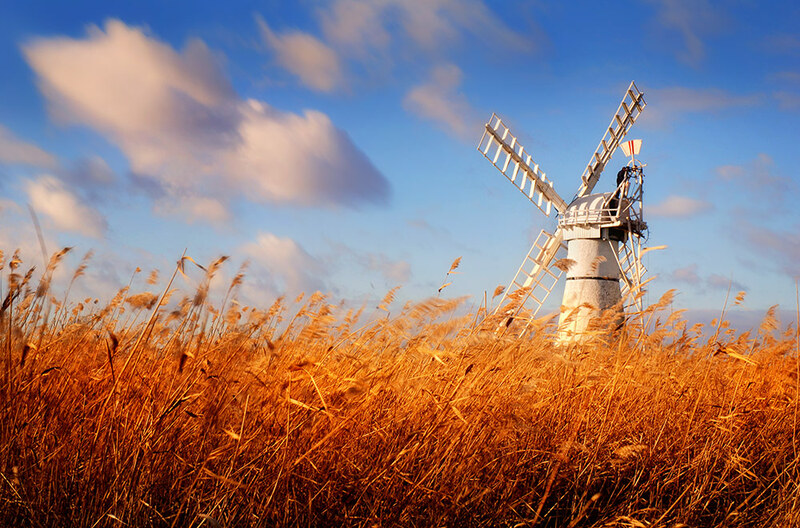 The Victorians came in their thousands to explore the result: a magical wetland formed of marsh, trees, wildlife, gentle breezes, lapping water and the occasional flint church, windmill and medieval bridge. You can hire a boat to potter around at 4 m.p.h. by the day or week and there are special accompanied ‘adventure trips’ for the young ones. You may well think, as you spend time here, of the famous naturalist, Ted Ellis, who called the Broads ‘The breathing place for the cure of souls’. 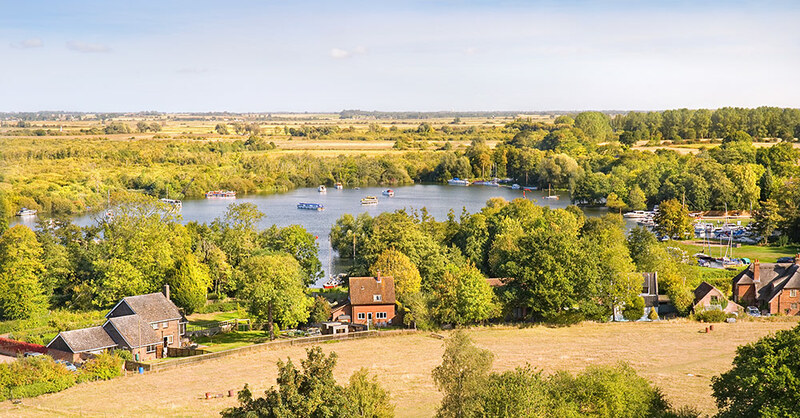 The waterways as a whole are often referred to as the ‘northern’ and ‘southern’ broads, the latter being south of the A47 and much quieter and less developed than their more famous counterparts. 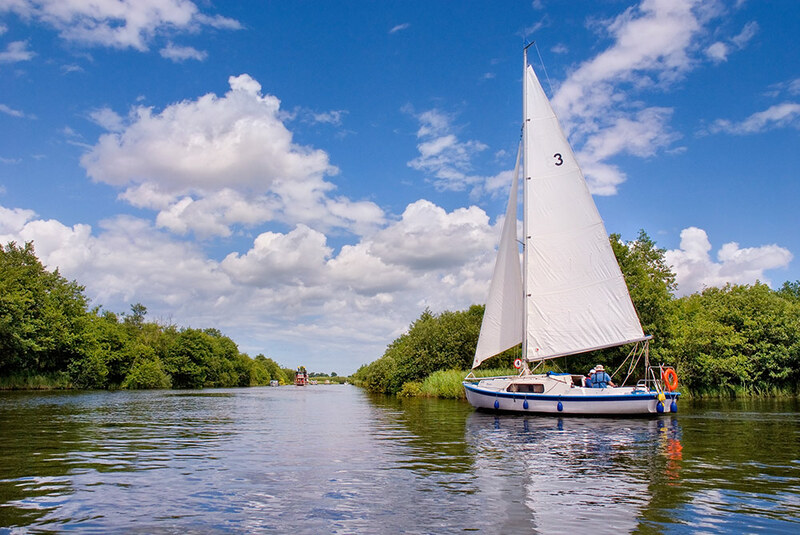 Rollesby lies in the northern section as part of the Trinity Broads which are linked to the River Bure by the Muck Fleet Dyke but, as this is not navigable, there is a tranquillity here not found elsewhere and as a result the water is especially clear and pure. 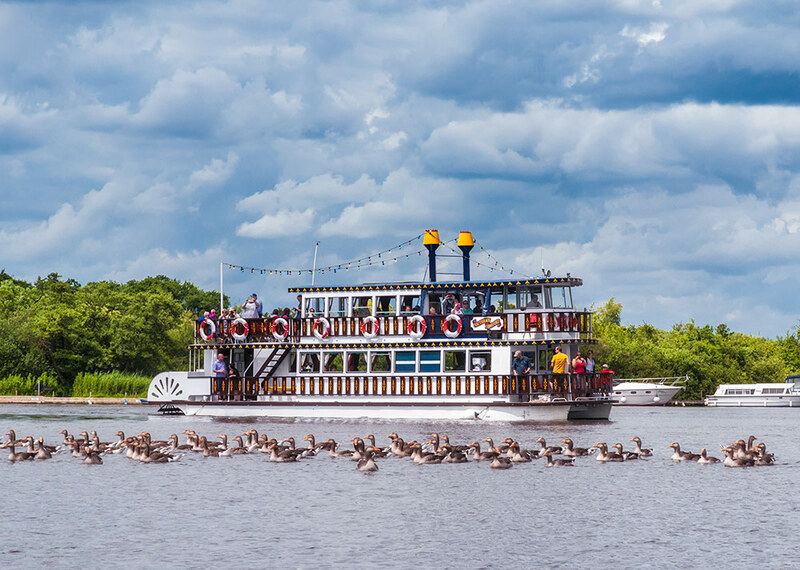 It is, of course, possible from here to explore the whole of the Broads network although you may need sometimes to travel short distances by land. Pubs, shops, restaurants, tea-rooms, boat trips. Atmospheric monastery ruins & wind pump. Thurne dyke mill was built in 1820. For further suggestions on places to visit, visit our Norfolk Coast information page.